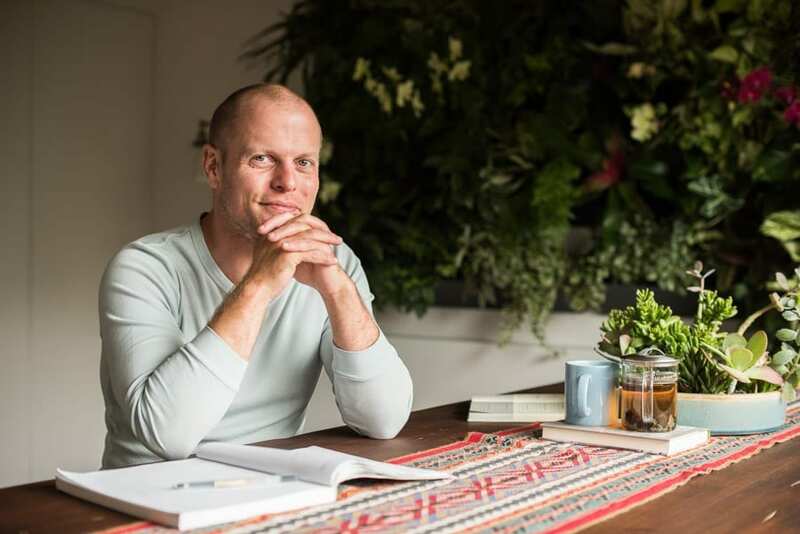 Bestselling author and investor Tim Ferriss has been one of the most vocal modern proponents of Stoicism. For years he has advocated the value of the philosophy—whether it is on his widely popular blog which is read by millions, on his podcast which at this point has over 200 million downloads or on the stage of TED. He is currently in the middle of a book launch with Tribe of Mentors (which also has numerous references to Stoicism! ), and we were curious to know how Stoic practices are helping him remain sane in such stressful times. Tim was very generous with his time, and we also got to ask him for the best Stoic practices to cultivate resilience, his daily rituals, how he first discovered the philosophy, and much more. Oh, and pay attention to the full interview as he prescribes an important homework assignment for the Daily Stoic community. You have been one of the most vocal modern proponents of Stoicism—from your blog to podcast to the stage of TED. In fact, it’s been close to a decade now, and you have introduced millions of people to the subject. So, thank you for that. Now, we’d love to know how you first encountered the philosophy, and why did it resonate in such a profound way? There were several other quotes that popped up attributed to Seneca, which, I’m embarrassed to admit, at the time I thought was a Native American elder. Of course, I’ve since learned he was not a Native American elder, but in fact, a — we now think — rather portly man in Rome. That quote really sent me on a path to then finding the moral letters to Lucilius, which lead me to other Stoic thinkers, including Marcus Aurelius and so on and so forth. It resonated with me on several levels. Number one, it was secular. Number two, it was highly specific and tactical, and designed to work in the real world. In other words, it wasn’t an abstraction in an ivory tower, being regurgitated by philosophy professors in black turtlenecks, although those may also exist for Stoicism. It was an operating system that had been tested on the front lines both literally in the case of say, Marcus Aurelius, and metaphorically in other high stakes environments, like the Senate and certainly in POW camps and so on later. To a certain degree, it appealed to me because it was for me, a Japanophile, someone who had his first trip abroad as an exchange student in Japan at age 15 for a year, it was very reminiscent of many Japanese philosophies that I’d been exposed to, both in different facets of bushido and martial arts philosophies. Specifically, the principles of Kanō Jigorō, the founder of judo, and I should say, the most famous Japanese swordsman in history, Musashi Miyamoto, who wrote The Book of Five Rings, among other books. Last but not least, Stoicism can help you to become a better, kinder person. In helping you to become less emotionally reactive (e.g., reflexively angry or annoyed), it helps you to better resolve conflict, and teach others to do the same. In my experience, particularly when combined with Buddhist “metta” or loving-kindness meditation, Stoicism can foster greater compassion and empathy. Both Stoicism and Buddhism focus quite extensively on awareness of impermanence, so the practices are often complementary. And here’s the point that is sometimes missed—if you want to improve the world, you need to start with yourself. Even if you only care about service to others, altruism, or being an instrument for good, to have the desired impact, you cannot be ruled by knee-jerk emotions, crying over spilt milk, and so on. If you want to save the planet, you have to put on your own oxygen mask first. You’re in the middle of a book launch now with Tribe of Mentors and those are always hectic and stressful. How does Stoicism help during such periods? There are a few very specific ways that Stoic practices help on a daily basis. They’re all very practical. The first is, with for instance, media and interviews of all different types. If you become excessively nervous or emotionally reactive, you’ve lost before you even begin. For instance, if you’re preparing for a national television show like Dr. Oz, or an interview for NPR, or whatever it might be, if you let your nerves get the better of you, it can cause you to freeze and you lose the opportunity. Rehearsing the worst case scenarios or negative visualization is a very powerful tool, which paradoxically allows you to become more relaxed and therefore, more response-able, i.e., able to chose your response if you get thrown a curveball question or if you flub and make a mistake in the middle of a live broadcast. Both of which have happened to me many, many times. You’re able to recover faster because you don’t go into a tailspin. That type of negative visualization is very important and I do constantly. Second, I would say that simply reading Stoic passages in preparation for the day helps me to ideally, ignore, and when I cannot ignore, not respond to, certainly not engage with critics who have unfounded attacks, let’s say. On the flip side, it also helps me to not believe my own press releases and hype, which can cause equally bad problems if I start to believe every word that the super-fans say to me. I was given some very good advice around 2007, which was, “You’re never as bad as they say you are, but you’re never as good as they say you are either.” Those are a few ways that immediately come to mind, that I’m applying, for instance, this week and the following week when the demands on me are very high. The stakes are very high. I have both red hot supporters and vehement, aggressive detractors, and I’m in public-facing environments. Stoicism for me is the perfect portfolio of principles and techniques for navigating that type of experience. What are the 1-3 Stoic tactical pieces of advice you’d recommend to our readers who want to cultivate resilience? There are a few pieces of advice that I would recommend, but more than advice, there are practices that I would recommend. That is what I repeat to myself over and over again. This is very important to me, and immanently applicable to real life. For instance, I will regularly, three continuous days per month minimum, practice fasting. I will do that from early Thursday dinner to an early Sunday dinner to simply expose myself to the rather, often unfamiliar, sensation of real hunger. If I wanted to extend that as one of my friends has done, a very successful CEO and author, he will schedule periods of time each quarter, say for a week, when he will effectively camp out in his living room, in a sleeping bag, and he will survive on cheap instant coffee and instant oatmeal (perhaps at a cost of $15 per week maximum). This is so that he is better able to make decisions that are proactive and big picture, and less out of obligation, or guilt, or fear of missing out because he knows that even if he misses a particular deal, even if a cutting edge project or experiment, or his pushing the envelope fails, that he can make do and in fact, often thrive with next to nothing. Perhaps unexpectedly at the end of such an experiment, people will very often be in a better mental state, feel more content than they did beforehand. It’s very freeing. Practicing poverty or practicing rehearsing your worst case scenario in real life, not just journaling, not just in your head, I find very, very important. Certainly I expose myself to a lot of duress and pain in say, the form of ice baths and cold exposure simply to develop my tolerance for the then unavoidable pain and disruption that comes to all of us. The more you schedule and practice discomfort deliberately, the less unplanned discomfort will throw off your life and control your life. The second exercise is perhaps the most important exercise that I do for myself, it’s completely borrowed from Stoicism, just adapted into a writing exercise that I do called Fear Setting. I won’t go through the entire thing here because it would take too long, but the easiest place to find all instructions for that for free is tim.blog/ted. The last exercise or category of exercise that I would recommend are comfort challenges. These are simple exercises that you can do on a regular basis, to expand your comfortable sphere of action. I’ve heard it said before, I certainly didn’t come up with the expression, “Everything you want is just outside your comfort zone.” Why don’t you proactively develop an ability to widen that comfort zone? There are some very simple ways to do that. For instance, you can go into various places like a Starbucks, and practice doing the lay down challenge. This is laying down on the floor without saying anything to anyone, not telling them you’re doing an exercise, lay down on the floor for 10 seconds. If they ask if you’re all right, you say “yes I’m totally fine.” And then you get back up like nothing happened and continue on with waiting in line or whatever you were doing. The downside is very minimal. Of course don’t do this in traffic. Use some common sense. Don’t do it anywhere people are going to trip over you but in a place where you can expose yourself to potential embarrassment and shame. This is very much along the lines of what Cato used to do with wearing tunics of unpopular colors and walking barefoot. He was training himself to be ashamed of only those things truly worth being ashamed of, and you can do the same. Another option would be doing what my friend Noah Kagan calls the coffee challenge. Going into any type of coffee shop, if you don’t like coffee it could be tea, it could be water, it doesn’t matter. When you get to the end of the line and you’re placing your order, you ask for 10 percent off. Again, you don’t tell them you’re doing an exercise, you don’t tell them Tim Ferriss sent you, or Seneca made you do it, you just have to bite your lip and bear it. The entire point is to risk rejection and discomfort, but asking for 10 percent off your coffee is a second example of many examples in this category of comfort challenges. I would suggest slating at least one per week for yourself. What are some of the weaknesses that you see in Stoicism? This is a tough one for me to answer because I think Stoicism is fairly comprehensive. I would say that after reading and rereading thousands of letters and chapters and journal entries related to Stoicism, there are times when I feel it can lead someone to be somewhat overly dour and Spock-like. For me, I’ve found that while Stoicism helps me to be very non-reactive, and to accomplish and achieve more with less wasted energy, I do like to add a healthy dose of Epicureanism and wine, and enjoy my wine and gardening for instance. There is a place, at least in my life, for a decent amount of hedonism. I don’t think they need to be mutually exclusive. Certainly, if you were to look at the reported lives, not necessarily self-described lives of some of our favorite Stoics, there’s certainly a fair amount of debauchery involved. Which Stoic quote do you remind yourself of the most often in your day-to-day life? It’d have to be the one that introduced me to Stoicism. “We suffer more in imagination than in reality,” from Seneca. A close cousin of that, which I may be getting somewhat wrong is, “He who suffers before it is necessary suffers more than is necessary.” I really think that the imagined arguments, the past arguments, the imagined fights in the future, the past fights that we don’t need to hold on to really cause the vast majority of the pain we experience not the events that come to pass. Those would be two that come to mind. Certainly the letter 18 that I mentioned, there’s several passages in that letter that I think of very, very often. This quote pairs very well with what I typically do before I get to the refrigerator in the morning, which is 20 to 22 minutes of meditation, seated meditation of some type, very often transcendental meditation or vipassana meditation, where I am observing my breathing, I’m observing my physiological state, tightness, and so on. Which pairs very nicely with “revert at once to yourself,” and therefore, when I’m combining these two on a daily basis, if I end up getting cut off in traffic or I end up getting cut off in a conversation by someone, I’m able to revert to myself, i.e., pay attention to my breath or how I am feeling for even a millisecond so that I am less likely to reflexively get upset and more likely to pause for a very short period and then respond in a more constructive way so that I’m focused on for instance, not being right but getting the outcome that I want. Those are a few that come to mind right off the bat. The Daily Stoic community has now grown to thousands and thousands of readers. What would be one Stoic homework assignment that you want to give them, be it for today, this week or month? It’s completely up to you—whether it’s a text to read, a Stoic practice, a question to journal on, etc. Yeah, as I’ve seen over the last 10 years of reading and rereading Stoicism, and certainly observing hundreds of thousands of readers digesting Stoicism, the wisdom from many both ancient and modern, or contemporary practitioners of stoicism, often fails in the last mile. That is, the translation from book page to action. I’d like to prescribe something seemingly very mundane and that is the coffee challenge. For the next week, for instance, every time you get coffee, ask for 10 percent off, or you can lay down and do the lay down challenge. Every single time you get coffee, or tea, or buy something at retail. I should say, not every single time, but once per day ask for 10 percent off. If you’re saying to yourself, “You know, I negotiate huge deals, that’s part of my job, that’s ridiculous. I don’t need it, I’ve heard this before.” You actually may find it more difficult than you expect, and that’s the whole point. It’s not enough to plan for discomfort, it’s not enough to rehearse in your mind what you’re going to do when faced with discomfort—you have to practice it. Don’t role play in your head, get in the messy realities of the real world and put Stoicism to work.